The goal of the “Caught in the Act of Kindness” initiative was to achieve a 20% increase in peer recognition within 6 months. The following article features coverage from the Oncology Nursing Society (ONS) 2019 Annual Congress. Click here to read more of Oncology Nurse Advisor‘s conference coverage. ANAHEIM, CA — Oncology nurses like to be recognized for the work they do, especially by their colleagues, and their engagement and happiness are crucial to positive patient outcomes. A poster presentation at the Oncology Nursing Society (ONS) 44th Annual Congress has shown how peer recognition can improve patient care and satisfaction. 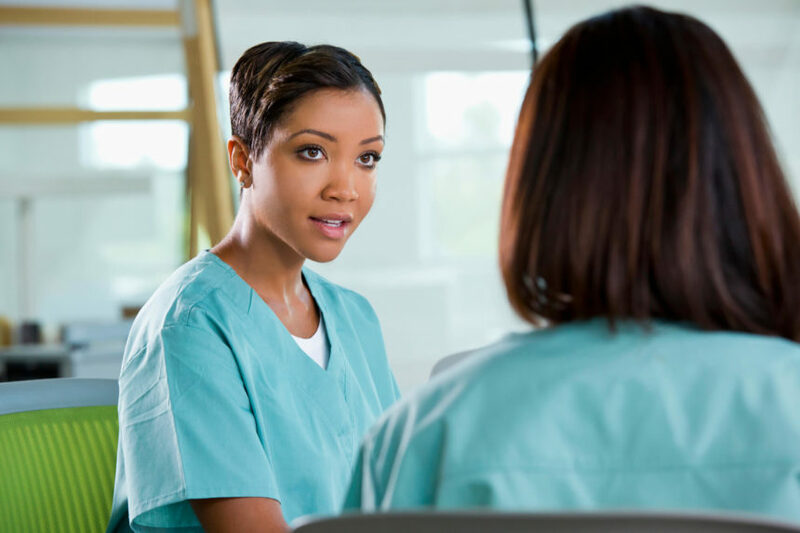 Oncology nurses are adept at responding to the needs of their patients and their patient’s family members; however, recognition for these efforts from both colleagues and patients is likely to be inconsistent. A 2017 Gallup engagement survey conducted at a 19-bed medical oncology unit in an urban academic medical center earned the facility’s employee recognition a score of 3.96 out of a possible 5.0. The low score prompted Edem Dzandu, BSN, RN, of the New York-Presbyterian/Weill Cornell Medical Center in New York, New York, and colleagues to implement “Caught in the Act of Kindness,” an initiative to increase peer recognition, with the goal of achieving a 20% increase in peer recognition within 6 months. The team first conducted a survey to determine staff members’ perception of peer appreciation and preferred method of recognition. Forty-three nurses, nursing assistants, and unit clerks received the presurvey (86% response rate [37 team members]). Responses indicated that 24% (9 respondents) did not feel appreciated. The health care system being studied has an established platform (“Everyday Amazing”) that allows team members to recognize each other through ecards and award points via email. However, although some survey respondents preferred the one-on-one recognition, others expressed a preference for recognition in a group setting. Working in conjunction with the existing platform, “Caught in the Act of Kindness” provides a creative way for peers to more publicly recognize each other for acts of kindness. A postsurvey conducted 1 month after the program’s implementation had 34 respondents, indicating positive team engagement. In addition, 2018 Gallop data showed an increase of 0.21 in the employee engagement score. Ms Dzandu reports that improved staff satisfaction has led to more satisfied patients, evidenced by consistently positive HCAHPS scores. Future plans include an additional postsurvey scheduled for May 2019, reported Ms Dzandu, the results of which will inform an engagement plan to address any additional opportunities to show appreciation among peers. Dzandu E, Schonfeld T. Caught in the act of kindness: the effects of peer recognition on staff engagement on a medical oncology unit. Poster presentation at: ONS 44th Annual Congress; April 11-14, 2019; Anaheim, CA.